Polish and Charms: My new favorite Texture polish! My new favorite Texture polish! Hello! I have found my favorite texture polish! This is LA Girl Sand Blast in Sandy Beach! It's a bright cobalt blue and I just love it! What you see is 2 coats, enjoy! What a beautiful colour! 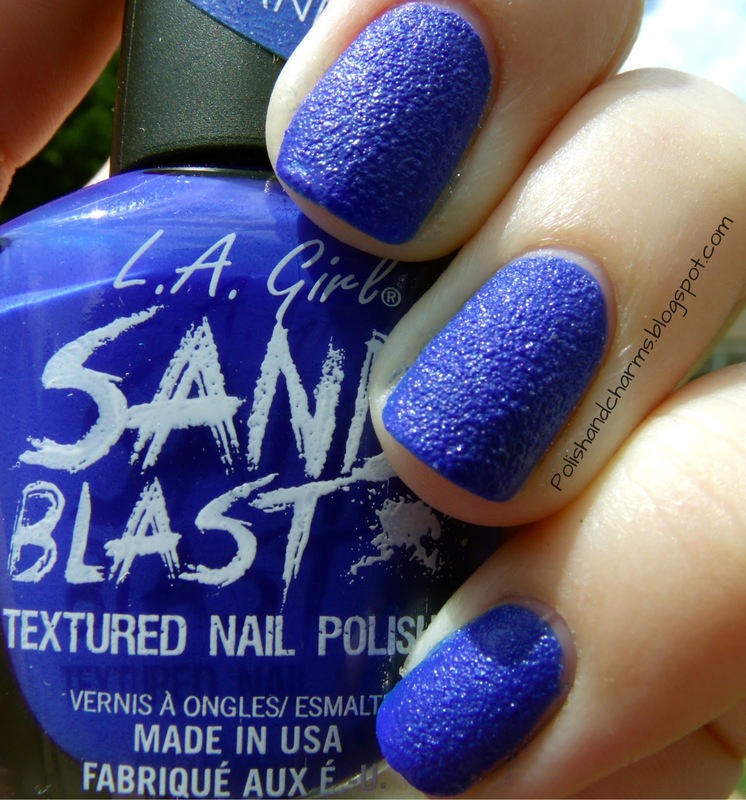 This is the nicest blue textured polish I have seen so far! I just adore it!! I love how the texture is finer! i love this!! i'm a huge fan of textured polishes and blue polishes. what can be better then both?? For a creme texture, this is pretty gorgeous! So do I! I am really liking the texture trend! I love the LA Girl Textures, the texture seems much finer than the Sally Hansen ones!